Dr. Peter DeMuth is a founding scientist at Elicio and currently serves as vice president of research, leading the development of technology platforms for cancer immunotherapeutics from early research to clinical development. To this role, he brings over 10 years of experience in oncology, immunology, and materials science. Prior to joining Elicio, Dr. DeMuth oversaw efforts to develop novel technologies for immunotherapy at the Massachusetts Institute of Technology’s Koch Institute for Integrative Cancer Research in affiliation with the Ragon Institute of Massachusetts General Hospital, MIT, and Harvard University, where he received recognition from the National Institutes of Health and the American Chemical Society. In 2015, Dr. DeMuth received the Quadrant Award from Quadrant AG, a global manufacturer and innovator in polymer materials science, for research he completed while at the Koch Institute at MIT. 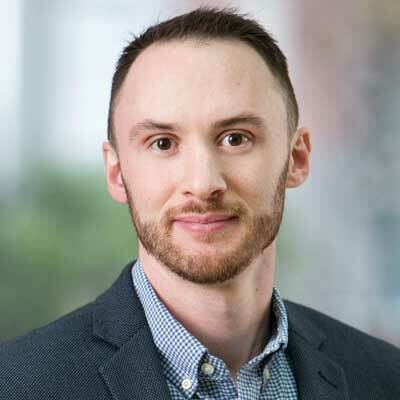 Dr. DeMuth has also been an NIH Fellow at the Whitehead Institute for Biomedical Research and a research fellow at Novartis Vaccines and Diagnostics. As a Howard Hughes Research Fellow at the University of Maryland, he was awarded the University Medal for his development of advanced technologies for oncology therapeutics.